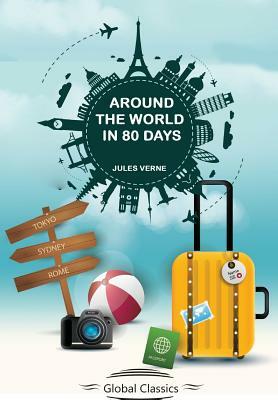 Around the World in Eighty Days (French: Le tour du monde en quatre-vingts jours) is an adventure novel by the French writer Jules Verne, published in 1873. In the story, Phileas Fogg of London and his newly employed French valet Passepartout attempt to circumnavigate the world in 80 days on a 20,000 wager ( 2,075,400 in 2017) set by his friends at the Reform Club. It is one of Verne's most acclaimed works.